Cherkasy (Ukrainian: , pronounced ), or Cherkassy (Russian: ), is a city in central Ukraine. It is the capital of the Cherkasy Oblast (province), as well as the administrative center of the surrounding Cherkasky Raion (district) within the oblast. The city itself is also designated as its own separate raion within the oblast. It is not to be confused with Cherkassk which is on the Don River to the east. The city is the cultural, educational and industrial center of Cherkasy Oblast and Central Economical Region of Ukraine. 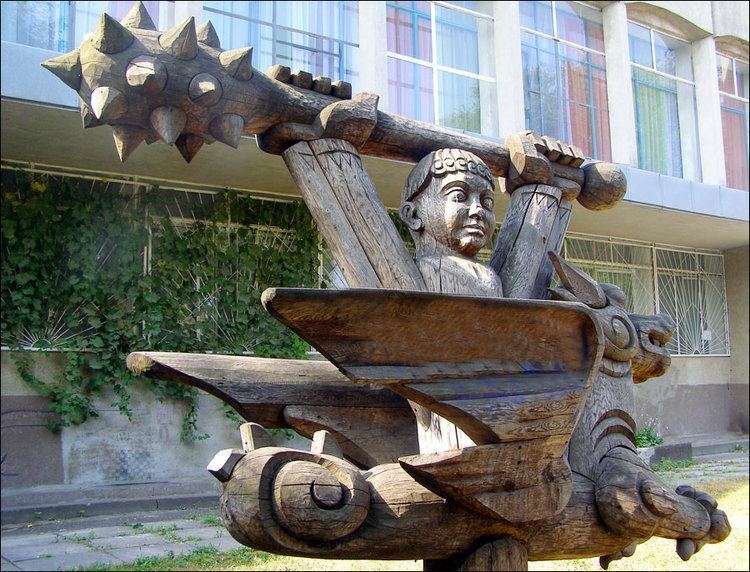 Cherkasy has been known since the 13th century and played a great role in the history of Ukraine. Cherkasy was the center of Cossacks, citizens took part in Khmelnychchyna and Koliyivschyna (cossacks and peasants rebellions). The city is located on the right bank of Dnieper River (specifically at the Kremenchuk Reservoir), about 200 km (124 mi) south of the nations capital, Kiev. The city is divided into 2 boroughs (raions): Sosnivskiy (with Orshanets village) and Pridniprovskiy. The current population of Cherkasy is 287,583 (as of 2011). In June 2011, the city celebrated its 725th anniversary. 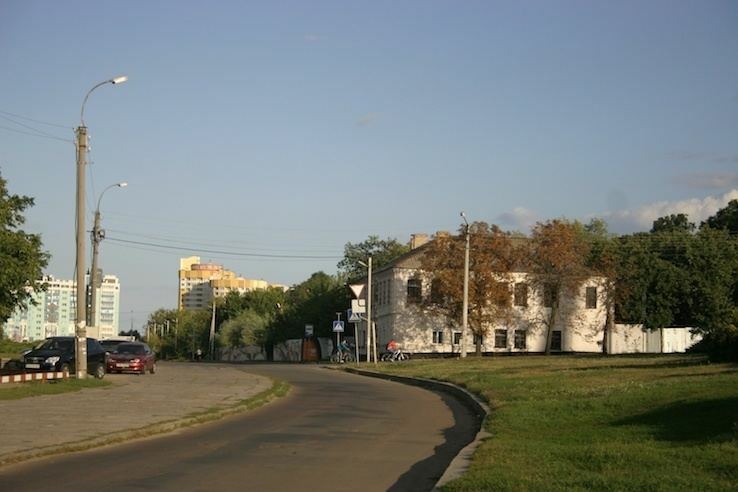 The history of Cherkasy has not been thoroughly explored. This can be explained by the fact that the city was forming under the Russian (and later Soviet) rule, which is why some periods in the life of Cherkasy still remain undiscovered (a lot of facts were hidden, documents and material proof was destroyed). The year of establishment is considered to be 1286 on the Kievan Rus territory. There are few facts about the beginning of the citys life, but it is documented that Cherkasy existed in the 14th century. The first record about Cherkasy was made in 1305 and was found in the Gustynskiy Chronicle, which is the Kievan Rus chronicle. The city is mentioned as an existing city among other Kievan Rus cities, including Kiev, Kaniv, Zhytomyr and Ovruch. The city was one of the centers of the Cossack movement. Citizens took part in Khmelnychchyna and Koliyivschyna. 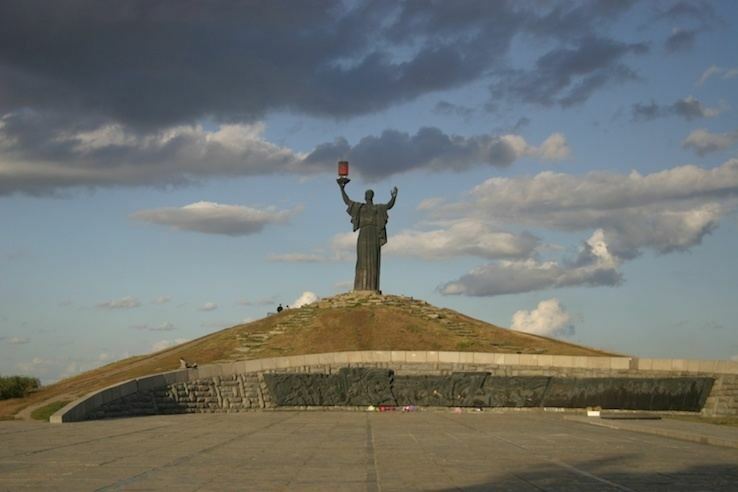 The city was influenced by the cruel social and economical experiments of Soviet authorities and World War II. In 1954, Cherkasy became the administrative center of Cherkasy Oblast (province), the youngest oblast of Ukraine. Cherkasy is a big cultural center. Several theaters, philharmonic, 3 movie theaters, numerous museums and clubs are serving the city. The city has 3 indoor skating rinks. People can relax in big parks and gardens around the city, they can also visit citys zoo. Cherkasy is among the cities in Ukraine that have their own planetarium. Scherbina House (Wedding Palace). It was the most luxurious mansion of prerevolutionary Cherkasy. In Soviet times it was known as the "Palace of Happiness" because it was citys registry office. The house was built by entrepreneur A. Scherbina in 1892. From 1970 to the present day the building is used as the Wedding Palace (civil registry agency). School of Music. 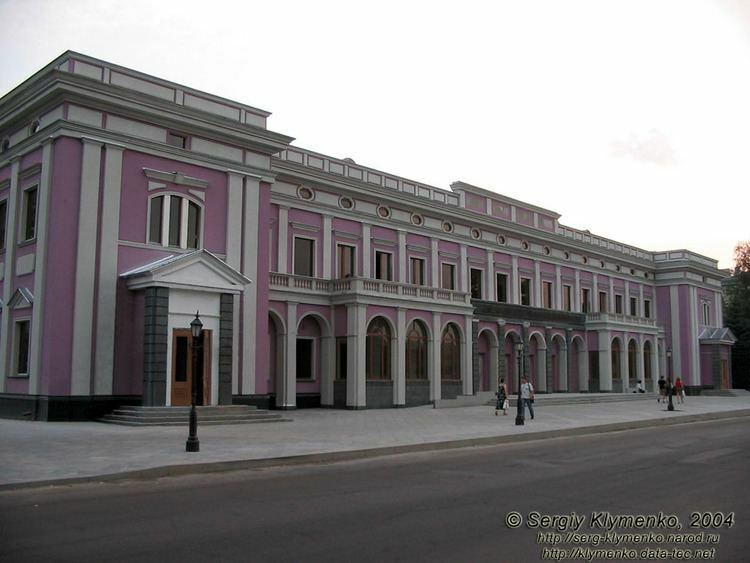 The building of Cherkasy Music School of S. Gulak-Artemovsky was built in 1903 as a mens gymnasium. The author of the project was great Kiev architect of Polish origin V. Gorodetsky. In the second half of the 20th century, after the construction of a modern extension, the building became the home of a music school. 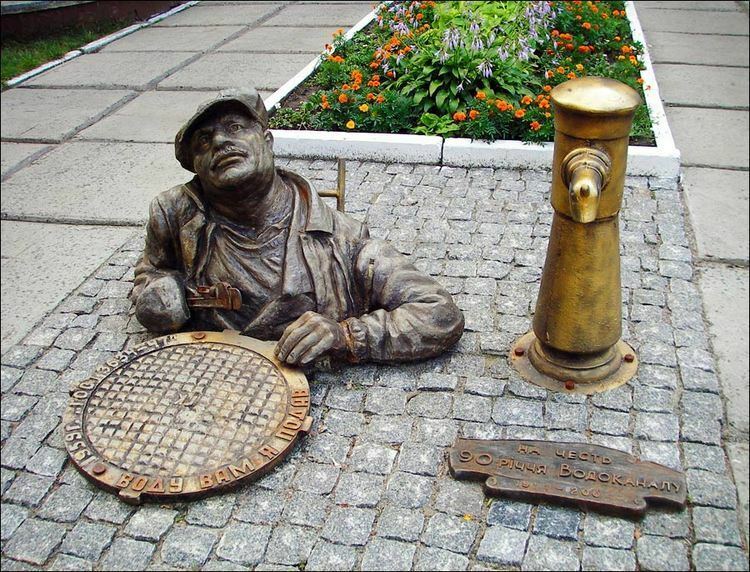 The city is famous for its sculpture festivals - "Kryzhtal" (held in winter, sculptures are made of ice), "Drevlyandia" (held in summer, sculptures are made of wood, then placed in parks around the city), and "Zhyvyi Kamin" (held in autumn, sculptures are made of stone). Along with the last, "Cherkasys Singing Nights" are held in the open-air theater in park. Since 2003, Cherkasy hosts international bike festival "Tarasova Gora", which gathers bikers from Ukraine, Russia, and other European countries. This is the biggest festival of this kind held in Ukraine. The City also hosts a music festival (sponsored by Pentax-Richo), that takes the name "Takumar5555", that is the old Pentax brand name, and a play on the citys 55th year of independence.